In the world of business, as in politics Brexit has polarised opinion. 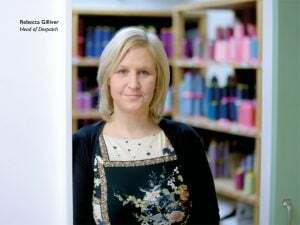 Since the utterance of the word referendum, Christopher Nieper, Managing Director of David Nieper – a leading UK fashion design and manufacturing business, has been careful to watch the impact on business both here and in the EU. 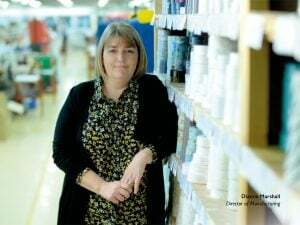 Over the next few weeks as our politicians are encouraged to vote to take no deal off the table, this Derbyshire business is convinced that no deal is the only deal on offer that is worth having. Established in 1961 and with a staff of over 350, David Nieper has a vested interest in Europe – it exports one third of goods to EU countries, employs staff in EU countries and has for many years worked with suppliers of wool and fabrics in the EU. With its far-reaching network of European connections, David Nieper welcomes the opportunity to leave behind the shackles of EU bureaucracy. The business has no fear of Brexit, but instead takes the view that the 29 March 2019 offers an unprecedented opportunity to create a launchpad for British business and we should seize the day, rather than fear it. “The public has had the courage to vote for real change, but since then politicians have lacked the wherewithal to deliver it. Business is much more optimistic and agile than the Westminster bubble realise and our economy is in a strong position. The best deal will come after we leave and we should use the £39bn as a bargaining tool. I’m relaxed about Brexit. There is no cliff edge, and our customers won’t stop wearing clothes. Indeed, customers are buying more and more British made goods since the referendum and we’re investing more in our business than at any time in our 57 year history. 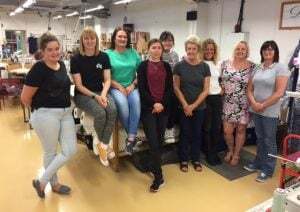 At David Nieper, since the referendum business has been booming – sales are up, more recruits than ever are graduating through the David Nieper Sewing Academy and the company is investing in the country’s first digital printing plant for jersey fabric. “In our business we trade with EU companies and will continue to do so post Brexit. We also trade with non EU countries such as Switzerland -we don’t see trading with EU post-Brexit to be any more complicated. HRH The Countess of Wessex was welcomed to Alfreton in Derbyshire today, as a crowd of over one thousand people gathered to greet her on her official visit to open David Nieper Academy and take a tour of the David Nieper fashion house. 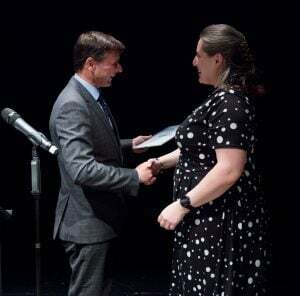 The Countess was welcomed to the Academy by Headteacher, Dr Kathryn Hobbs, Chair of Trustees, Christopher Nieper, employer partners, teaching staff and students. The Academy, formerly known as Alfreton Grange and Mortimer Wilson has been at the heart of the Alfreton community since the 1930s and recently started a new chapter in its history, when David Nieper Education Trust took over the governance of the school in September 2016. Since then, the school has moved into a brand new building and doubled student numbers. “What an exciting time our students have had today! We would like to thank The Countess on behalf of everyone at the school for taking the time to visit and officially open our Academy. This visit marks a real milestone in the history of our school, which has been on an incredible journey striving to become a school of which the whole community can be proud. 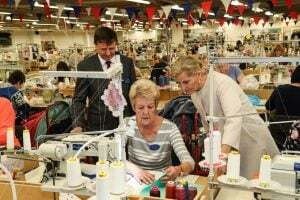 The Countess made a second stop in Alfreton at the David Nieper fashion house, where she was given a tour of the sewing rooms and presented with a gift by the company. “It has been a great privilege to receive The Countess at both our Academy and the fashion house today. 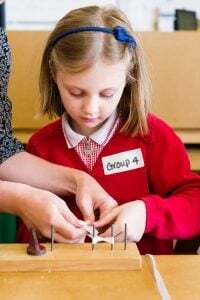 The David Nieper Education Trust was established to forge closer links between business and education, giving children a privileged connection with local employers and a career enriched curriculum. We are incredibly proud of all the teaching staff, students, employer partners and also staff from our own business who have worked so hard to make the Academy such a success. 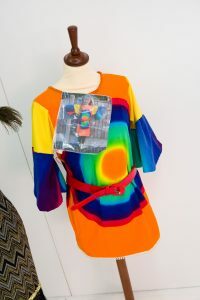 A glitterati of young fashion talent packed Derby Theatre this week to showcase the work of the University of Derby fashion and textile design students, with a stunning parade of skillfully tailored styles in a beautiful display of colour and fabric. The event culminated in prize giving, firstly for second year fashion and textile design students who had taken part in the prestigious David Nieper 2018 Fashion BA and Textile BA Scholarship. The students had been briefed to take inspiration from the work of American underground graffiti artist Jean-Michel Basquiat, and design a capsule collection of four garments – one each for nightwear, evening wear, day wear and travel wear designed specifically for the elegant and discerning older woman. 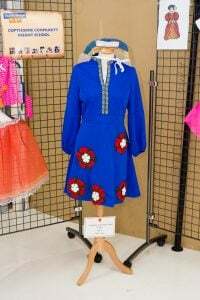 In the fashion design category the standards were extremely high but with one clear winner – Emma Holmes was awarded first prize and a cheque for £500. In the textiles design category judges awarded three students for their exceptional work. 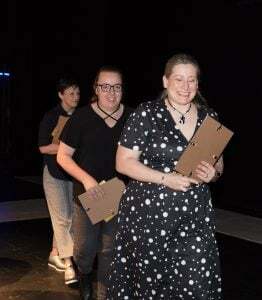 Toni Hibberd was awarded first prize and was overall scholarship winner receiving a cheque for £1000, fellow students Carrie Murphy and Sarah Cobb were presented with runner-up awards and prize money. “Creativity and fashion ingenuity is alive and well in Derbyshire! It is also fantastic to have several mature students amongst our winners, which shows it’s never too late to follow your dream career. This was a fantastic show and superb effort from all the students who participated. 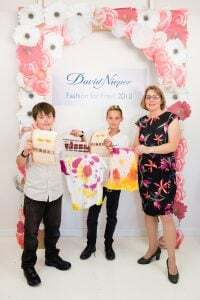 “I am absolutely thrilled to win, it was a challenging brief but I enjoyed every moment, we had to gel the outlandish art of Basquiat with creating an elegant and stylish collection that would appeal to David Nieper customers. 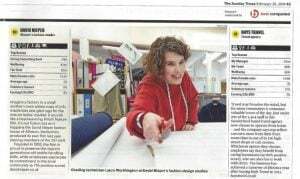 “The quality of work produced by our fashion and textile design students goes from strength to strength every year. Working to the brief of a professional fashion house such as David Nieper gives our students great real life work experience. British fashion business David Nieper is supporting International Women’s Day 2018, through a photography campaign to mark the start of this year’s #pressforprogress movement championing the empowerment of women all over the world. 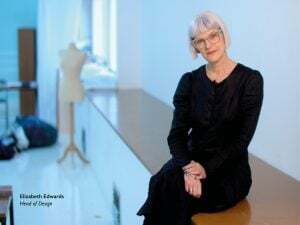 The campaign captures some of the incredible women that have helped build the success story of the David Nieper fashion house. International Women’s Day (March 8) is a key date in the calendar celebrating social, economic, cultural and political achievements of women globally. For over 55 years, David Nieper has championed the achievements of its 87% female workforce, giving recognition to both individual and collective contributions made by staff. The company is predominantly female; the majority of key roles are secured by women who account for almost all of the senior management team, as well as skilled production work. David Nieper has over the decades created a unique work environment which allows women to thrive. Staff are supported not only in their own professional capacity in the workplace but also within their community and family. David Nieper prioritises the issues that matter most to female staff, for example the future of local children through the establishment of the David Nieper Academy. The family company is the first private fashion business to form a Government approved ‘multi-academy-trust’ and has taken the unprecedented step of sponsoring a secondary school to help raise the level of education and skills in the area. Additionally, the company appreciates its female workers’ family commitments and offers more flexible and part-time hours especially around school hours and term times for parents and carers. Diane Marshall, is a good example of the company’s approach to promoting women. She started in the company’s call center 25 years ago and has been promoted from within several times, she is now Director of Manufacturing. 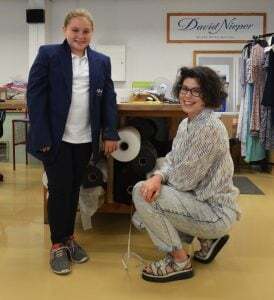 “Here at David Nieper, since day one we have supported our female workforce by equipping them with skills and education, offering independence and the opportunity to follow a career of their choice from dressmaking to IT, finance, retail, logistics, HR and marketing. Christopher Nieper, Managing Director, David Nieper Ltd is truly a man in a woman’s world but welcomes the success of his team. David Nieper rewards staff loyalty. The company enjoys very low staff turnover and more than half its 280 staff have service records of 10+ years. Decades of manufacturing overseas has decimated the UK fashion manufacturing industry, which has shrunk by over 90% percent since the seventies. 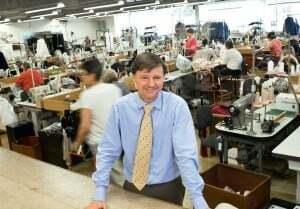 So for David Nieper, a family run fashion manufacturing firm this recognition is a truly remarkable achievement. The independent and confidential survey which was conducted with David Nieper staff had one resounding message… ‘It’s great to work in British fashion!’ The company scored highly in the category of looking after staff wellbeing, with a consistently low staff turnover and 50% of the company holding long service awards of 10+ years. In comparison to other businesses in the category, the company also scored very highly for ‘giving something back, indeed supporting staff and the local community is at the heart of everything the company does. The David Nieper approach is both altruistic and far reaching, not only creating jobs for local people, but also prioritising the educational welfare of local children. Within the last two years David Nieper has taken the unprecedented step of sponsoring the local secondary school to help raise the level of education and skills in the area. Results from the survey reflected that staff are proud to work for the organisation and believe that it is run on sound moral principles and personal growth is encouraged. The survey also revealed that David Nieper staff are excited about their future prospects working for the company. “Our place in the Best 100 Companies list is credit to our wonderful staff. We are one of the few fashion houses that have never taken production overseas and have always prioritised local people and local jobs, so we are incredibly proud to be the first ever British fashion manufacturer to be included. 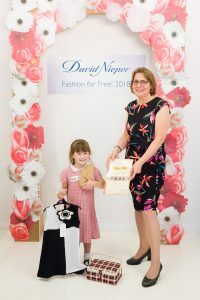 Over the last 12 months, the David Nieper fashion house has had the most successful year in its 56 year history. The company’s performance has been attributed to staff performance and an increased consumer appetite for British Made goods. The Sunday Times Best Companies programme started in 2001 and is based solely on the results of staff surveys. A broad cross section of the British workforce has been polled, with over a quarter of a million staff giving their opinions about their work environment and employers. 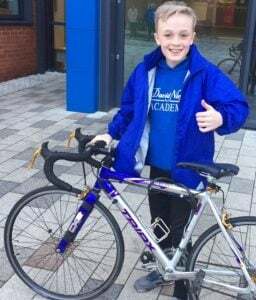 Kian Pearson, a Year 8 student from the David Nieper Academy in Alfreton is attempting to set a new record and become the youngest person in the UK to do the John O’Groats to Land’s End (JOGLE) cycle in less than 20 days. The 998 mile journey stretching between Great Britain’s extremities in the south east and north west takes most adult cyclists between 10 -14 days, Kian who will be just 12 when he does the marathon cycle plans to complete the journey in 14 days with his dad and uncle this July, in a bid to raise £10,000 sponsorship money for Dementia UK. Kian is enduring an intensive fitness regime in preparation for his cycle ride and is training at Demon Gym UK in Somercotes 6 days a week, as well as swimming regularly and doing practise rides from his home to Skegness. Kian’s grandad recently passed away following a difficult battle with dementia, prompting Kian to raise money to help other people with the illness.